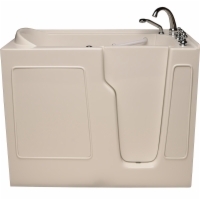 An extra large version of the industry-leading Sanctuary Walk-In Tub, the King features a full industry-standard 60" length which provides more room for you while not requiring the use of an extension panel. 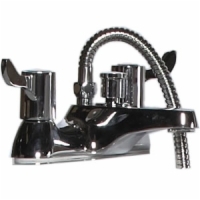 This tub includes faucet hardware, two grab bars, a quick drain, and 3 water & air jet options. It also uses a 17" seat design to make getting in and out of your bath even easier. Side-entrance allows easy and safe access and fits perfectly into any new construction and/or retro fitting because of its industry standard length of 60". 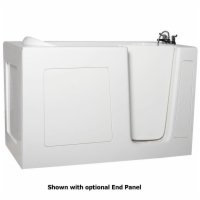 It has an inward swinging door and an ADA compliant 17" contoured seat which provides you with ultimate comfort and safety while taking a bath. 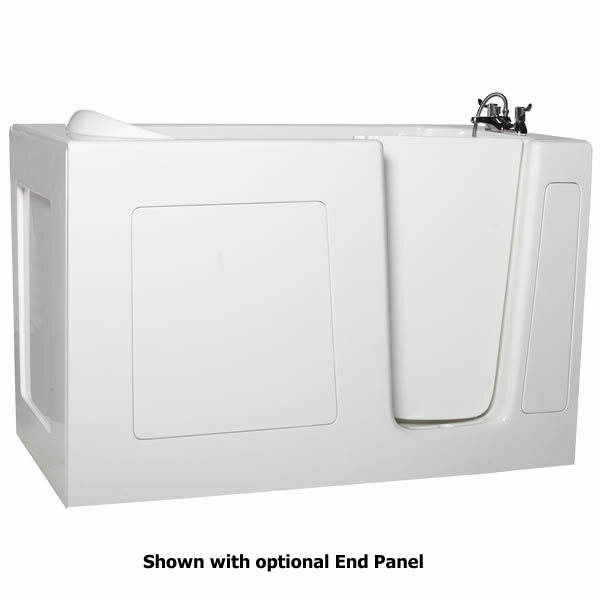 This walk in bath tub is available in several variations such as whirlpool only, air only, or a combination of both: whirlpool and air systems (dual system), or as a soaker, with no jets at all. Sit down and immerse yourself in a relaxing atmosphere, while all your stress disappears. 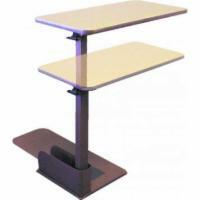 This walk in bath tub comes with adjustable feet for easy installation and leveling.